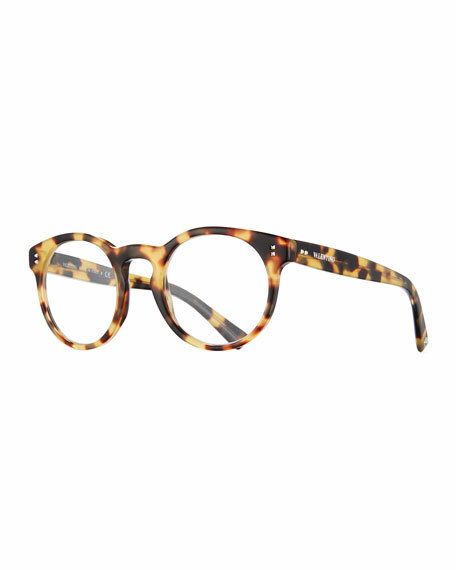 Valentino round sunglasses in acetate, featuring clip-on lenses with rhinestone pavé. 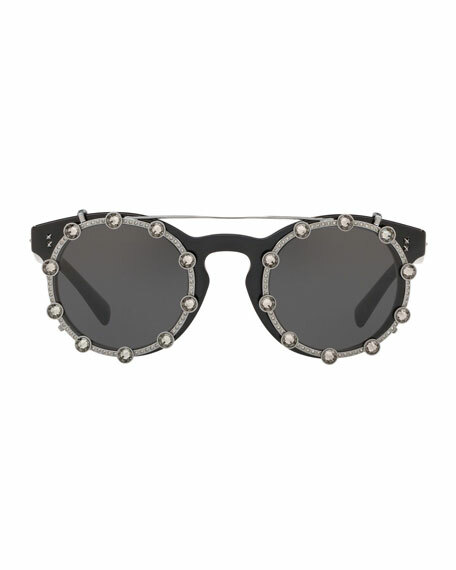 Mini Rockstud detail at temples and frame front. For in-store inquiries, use sku #2182823.